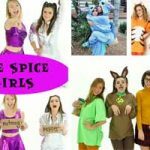 Simplify halloween decor and party food with these hacks. 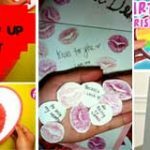 You needn’t spend a ton of money or waste a heap of time when these ideas get the same job down quickly. 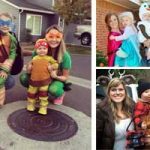 You will be the envy of the neighborhood with outdoor skeletons, haunted pallet walls and floating witches hats. What a clever way to upcycle a pallet. Place an old pallet on top of some bricks and use red spray paint to write ‘beware’. 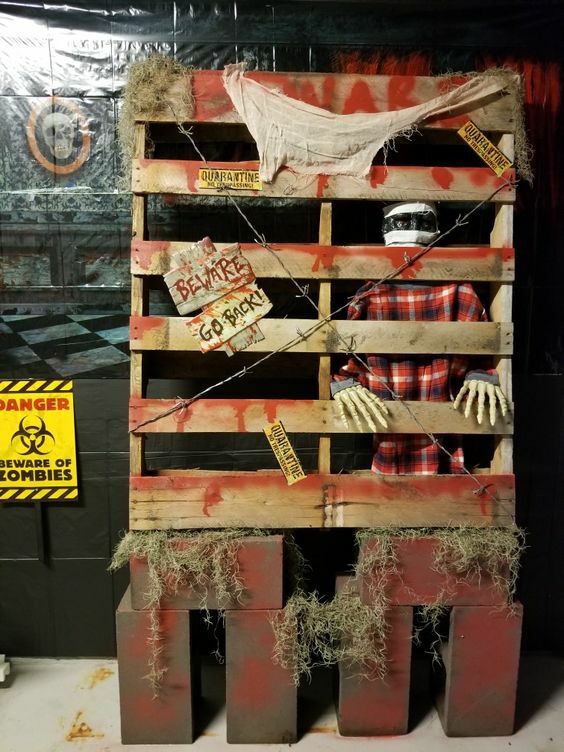 Pop a skeleton behind the wall and add other spooky items to complete this wall of horror. 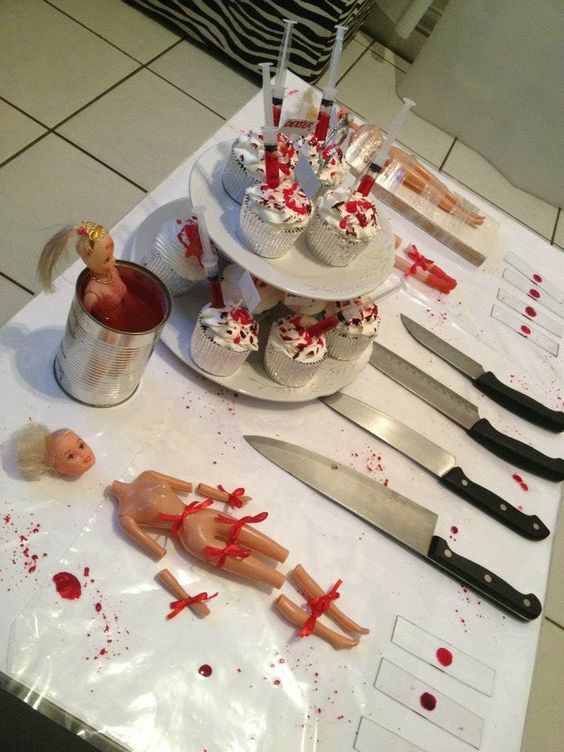 This makes an ingenious decor idea for your fright night dinner party. 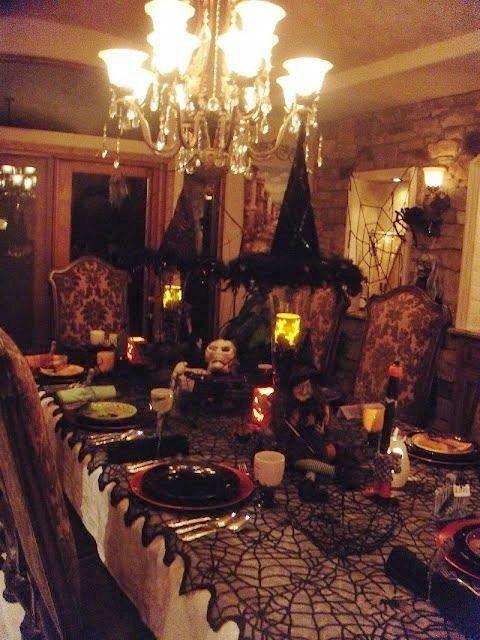 Use string to hang witches hats from a chandelier or light fixture and adorn the rest of the room with other spooky items like spider webs and lanterns. 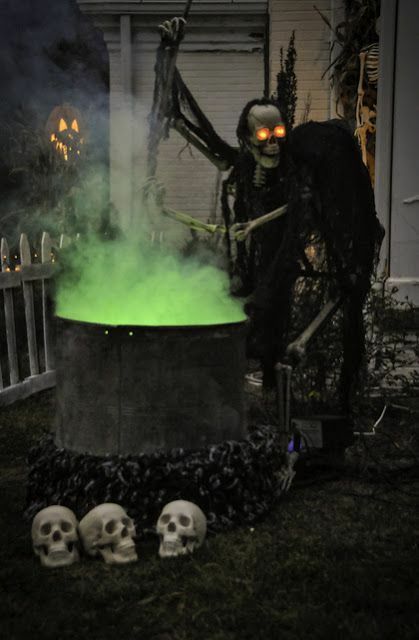 Use battery operated tea lights behind a skeleton’s eyes to give his eyes a haunted look. 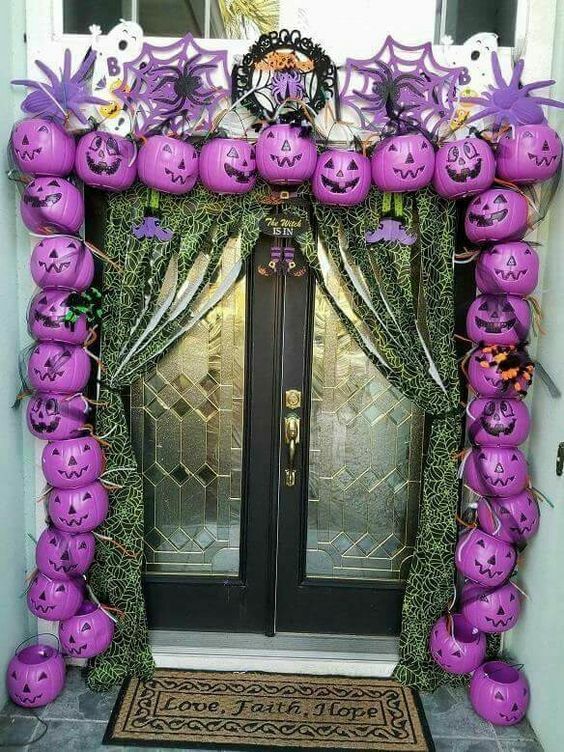 Decorating needn’t cost a fortune, pop down to your local dollar store and purchase plastic pumpkins to cover your door for trick or treaters. For a really impressive effect you could add batter tea lights or led lights into the pumpkins so they glow in the evening. 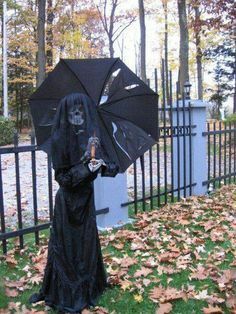 Have fun dressing a skeleton in witches attire and complete the look with a beaten black umbrella. 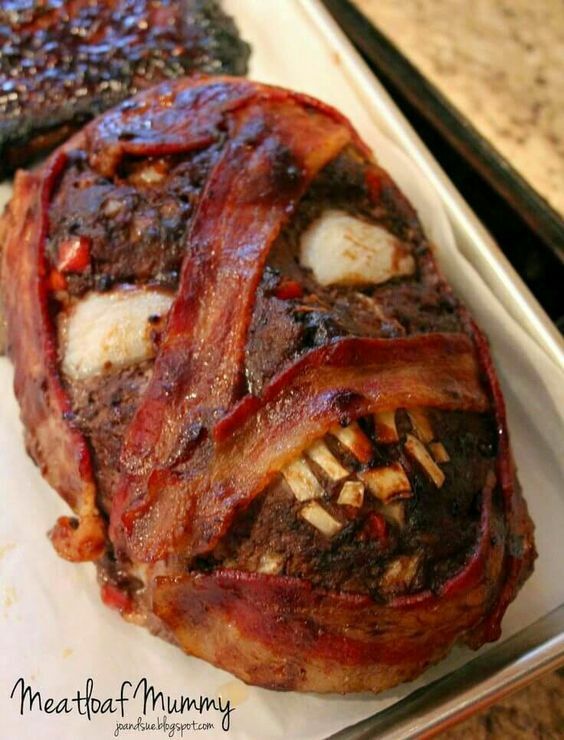 Not only do these look great for decor but they double up as halloween party food favors. 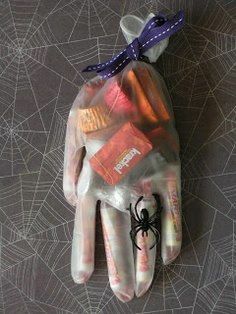 You’ll need surgical gloves and treats to make this spooktacular idea. 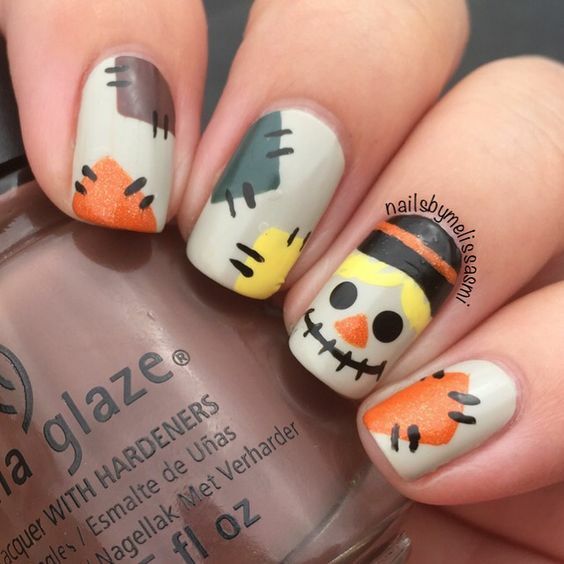 Finish with a festive colored bow to secure the top of the glove. 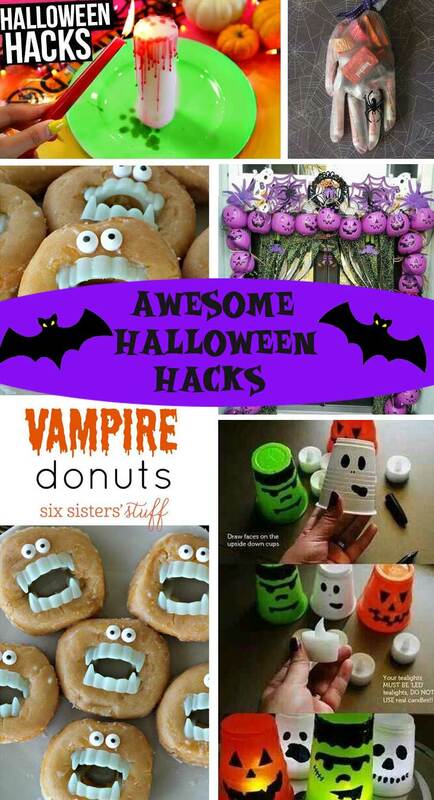 Make these creepy donuts for your guests and bewitch even the meanest of monsters. 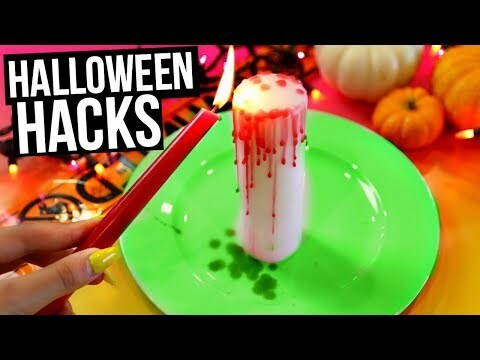 Create a spooky candle by pouring red wax onto a white pillar candle. 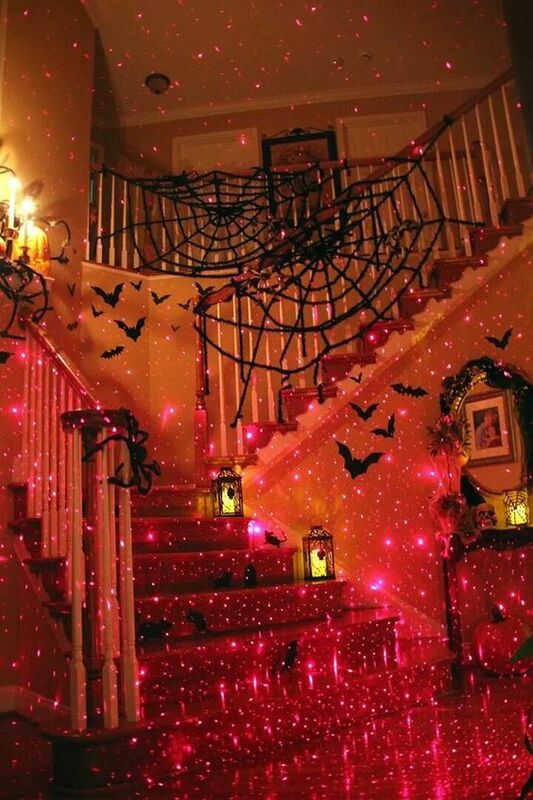 For the ultimate Halloween party – decorate with as many red fairy lights as you can and add spider webs and bats for a truly spectacular hall. 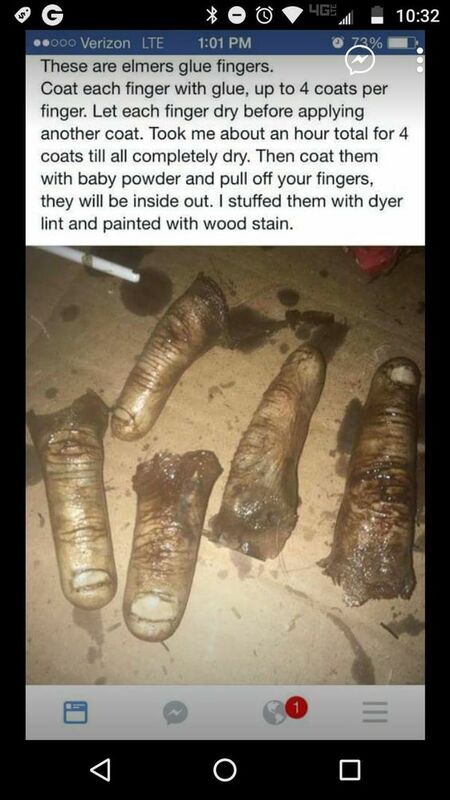 To make these creepy fingers you’ll need to put pva glue on your fingers – about four coats per. 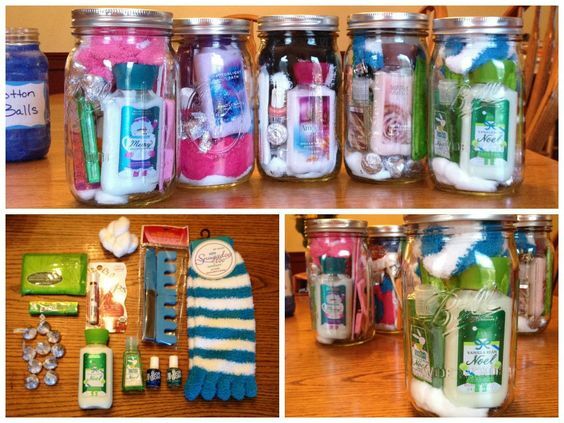 Coat with talcum powder and pull off. 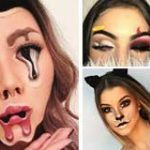 You can stuff them with dryer lint and then paint with wood stain – your guests will be truly freaked out. 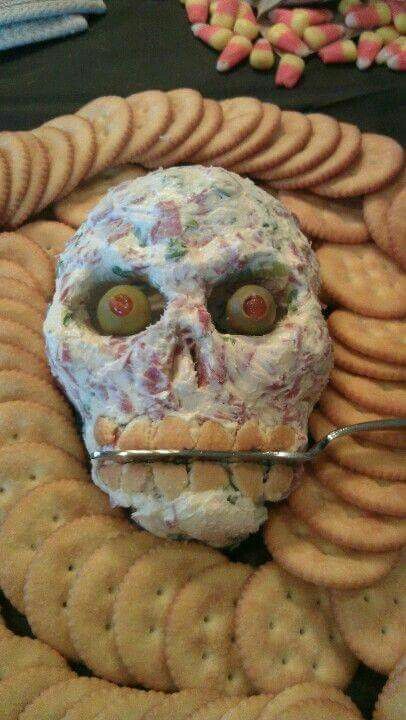 You’ll need two packets of cream cheese and a skeleton mold to make this eerie cheese ball. 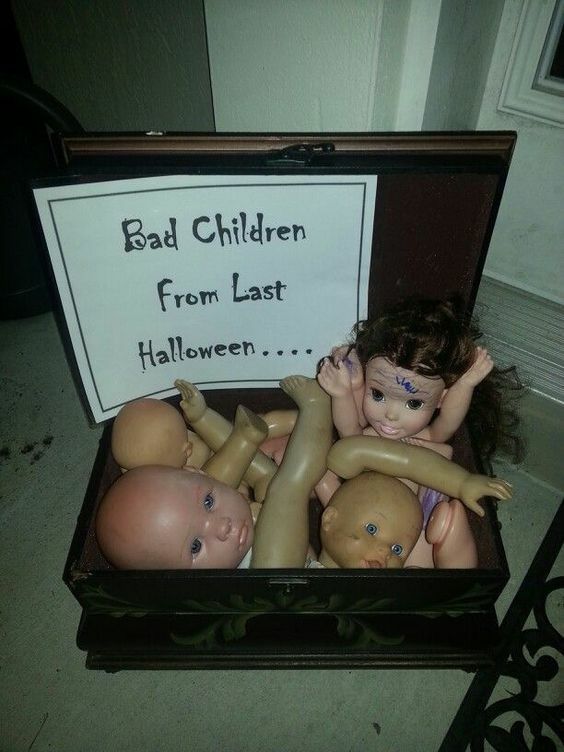 Old dolls can be re-purposed to make this basket of bad children. 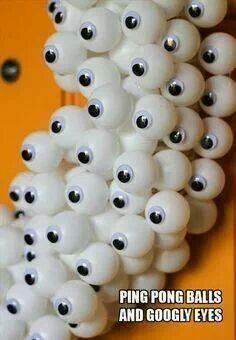 Ping pong balls and googly eyes make an awesome Halloween wreath.